Bonfire of the Vanities: I love America! Today, after Mass, I came back to the rectory as always. I start the coffee, and I remember, I am on my last bag of coffee beans. Then I remember, "Oh yes, I was going to look online to see if there's a company that can ship me coffee beans." I always buy beans, and always decaf, always the Spotlight brand from Krogers. It's the best price, and it's pretty good. But: they sometimes run out. As I'm emptying the dishwasher, and then fixing my breakfast (bacon and eggs), I am thinking, "you have thought about this before, but you always forget. Don't forget this time!" Properly chastened, as soon as I sat down at my desk with my coffee and breakfast -- after opening the office door, no one else is here; I'm hoping no one comes in till I've eaten my breakfast (And no one did, thank you, Lord!) 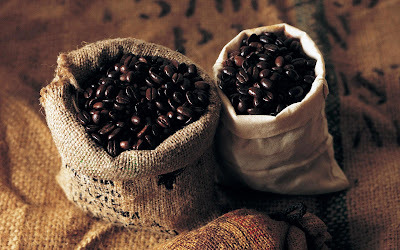 -- I start browsing online for "bulk coffee beans." Ah, it's like one of those bazaars in the Middle East (and I've been to them! ); it's like Findlay Market in Over the Rhine, with all the wonderful choices! All the listings were calling out to me, "click on me! click on me!" So I clicked on three or four. So many choices! It all looked so delicious! Did you know you can get strudel flavored coffee? And many of these places will roast and blend your coffee just as you want. All for around $8-10 a pound. Guess who won? Amazon -- because I have Prime membership, which costs $99 a year, but I think I save in shipping. On Monday I will have, delivered right to my door, five ten pounds of "European Fancy" decaf coffee, for the sum of $67.98. Ordering the extra bag got me a 15% discount. So that means $6.80 a pound, which might even be cheaper than what I pay at Krogers -- and I have to drive there! This luxury that I just described didn't just happen. Most of humanity never experienced these wonders, and most today still don't. This is a product of freedom and hard work and rewarding industry and risk. What we have is precious, and it can be lost. This is (one of many reasons) I love America!